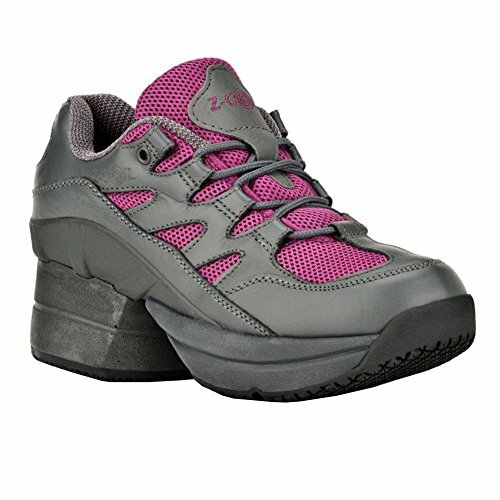 Built-in rigid Z-Orthotic to protect and support plantar ligaments, reducing the pain of plantar faciitis, heel spurs, and arthritis. Patented conical heel spring - the Z-CoiL - to reduce up to 50% of impact as it eases overall fatigue and back pain. 3/4" forefront cushioning shields delicate toe joints, ligaments and tendons, while a wide toe box relieves joint pain and pressure. Forefront flex line and a rocker bottom sole to aid a fluid, natural walking motion. Genuine leather body and rubber sole for additional slip resistance. If you have any questions about this product by Z-CoiL, contact us by completing and submitting the form below. If you are looking for a specif part number, please include it with your message.